Kickstart your future career. 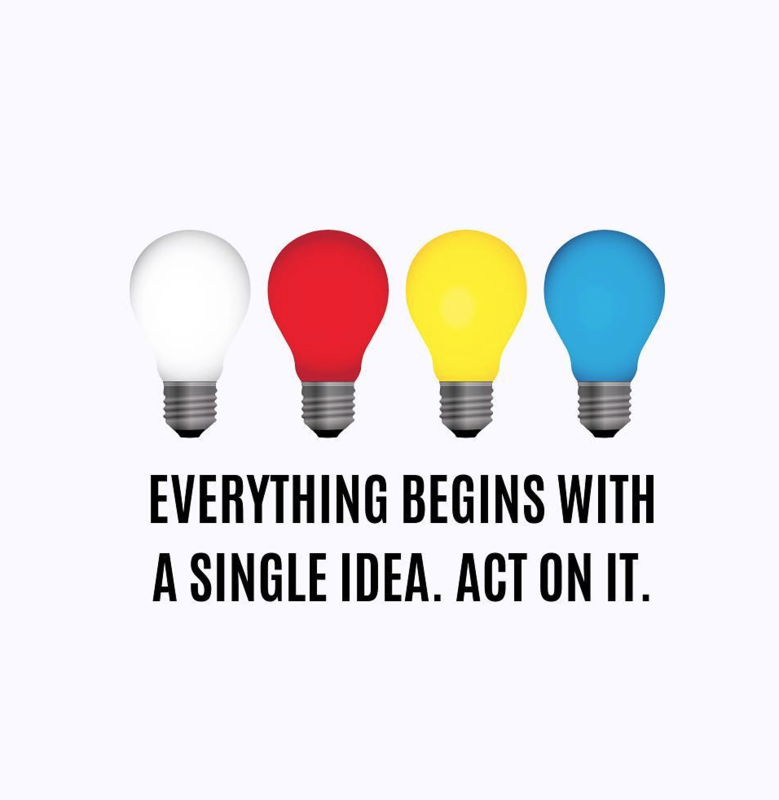 Join us for Startup Sprint on Sunday May 12! 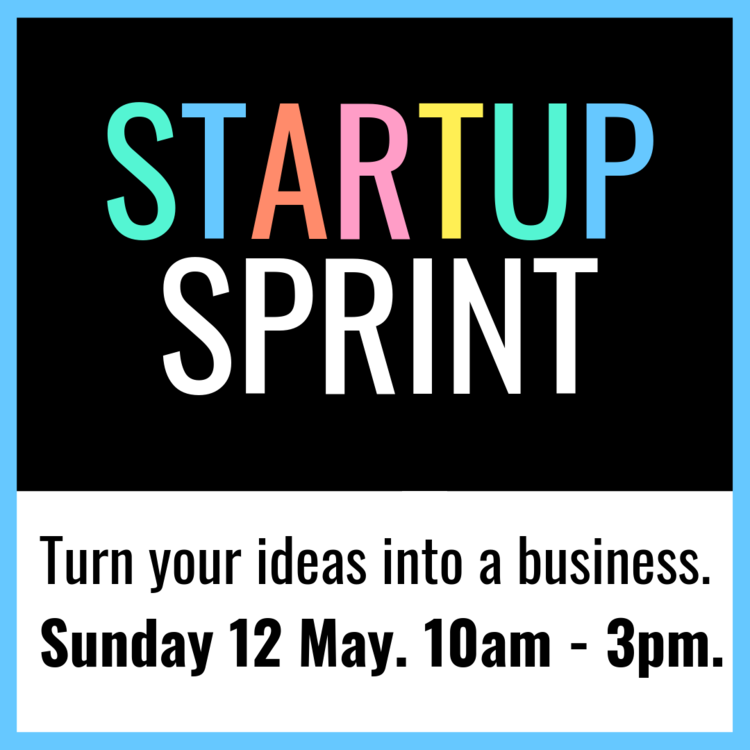 Join forces with your Mum on Mothers Day and together learn how to take your big ideas to big market reality at the Geelong Youth Innovation Summit Startup Sprint Day! READ MORE + BOOK FREE TIX HERE. @runway_hq is a renowned startup accelerator that unearths and supports startups in regional ecosystems, giving founders and entrepreneurs the opportunity to fast-track, grow and scale using Runway’s unique accelerator programs. BOOK YOUR FREE TICKETS TODAY! CLICK HERE. Struggling to know what to do with your life? 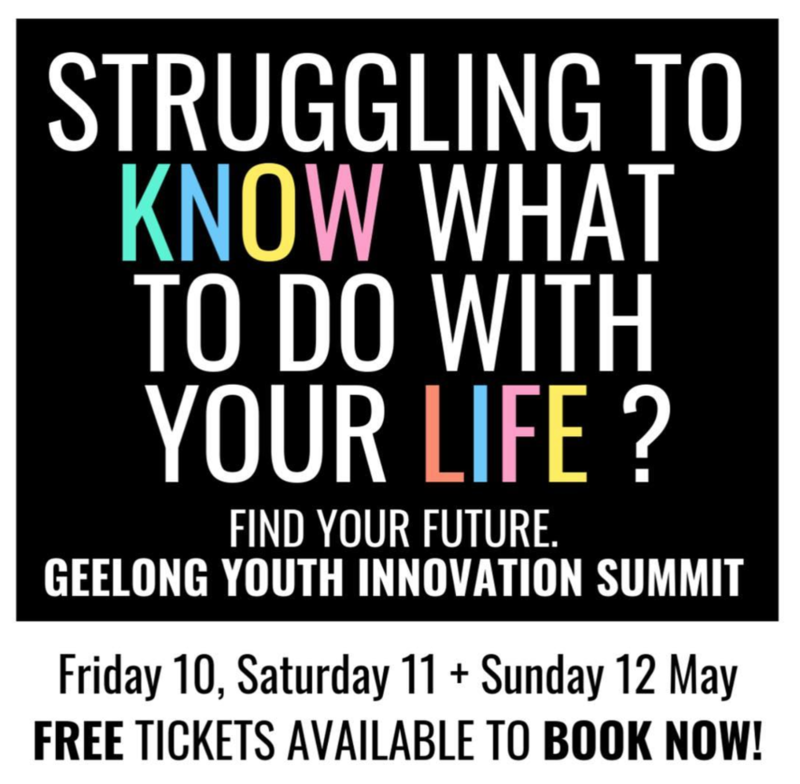 Plan your future at the Geelong Youth Innovation Summit! Amazing speakers, interactive technologies, 21st Century skills workshops, World of Work STEM Expo. Parents, students and industry all welcome. CLICK HERE FOR THE FULL EVENT PROGRAM and to BOOK your FREE TICKETS TODAY. Culture Amp turn up the tech and diversity dial at the Geelong Youth Innovation Summit! We’re pumped to welcome Culture Amp to the speaker lineup at the Geelong Youth Innovation Summit on Saturday May 11, 2019. Book your FREE Ticket today! #CultureAmp seek to improve company culture through its people-analytics platform, and since launching in 2009, the business has grown into an international success story, with more than 120 staff across offices in Melbourne, London, New York and San Francisco, and a range of superstar companies onboard including McDonalds, Slack, Airbnb, Lyft, Oracle and Yelp. 100’s of students at the #Geelong Youth #Innovation Summit will hear from amazing Culture Amp team and get the chance to ‘go inside’ the day-to-day life of a fast-growing tech company! TICKETS GOING FAST!! THIS IS A FREE EVENT BUT PLEASE BOOK NOW TO AVOID DISAPPOINTMENT. 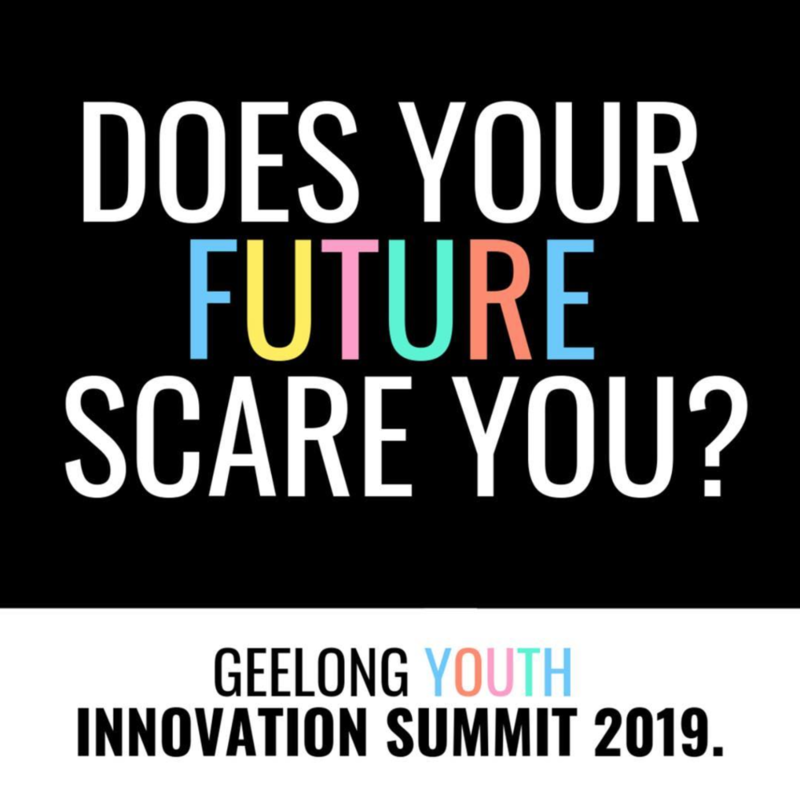 Register for your FREE tickets to the Geelong Youth Innovation Summit today and join 100’s of teenagers from the @cityofgreatergeelong alongside some of Australia's most remarkable business leaders, startup founders and STEM champions. An education innovation activation proudly brought to you by @girledworld in partnership with the @cityofgreatergeelong and the @victorianstategovernment. Recognising the VICE in the world of devices. New statistics on screen time and digital addiction reveal that the global average time spent on smartphones is 261 minutes a day (4hrs 33mins), the average user spends 76 minutes a day (1hr 16mins) on the top 5 social media apps and countries including China and South Korea have recognised internet addiction as a new disease (Internet Addiction Disorder (IAD) and now publicly fund internet and gaming addiction treatment centres. Be aware of your screen time, and try a digital detox this weekend. Are you putting yourself first or last? Think about how you think about yourself. 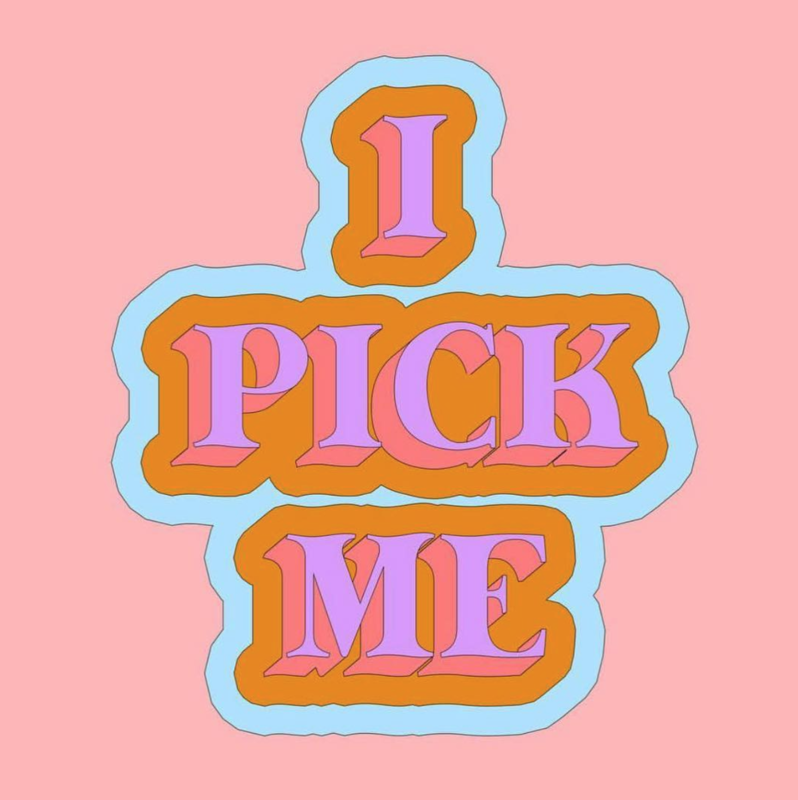 How often do you put your needs last, and everyone else’s first, only to realise you have nothing left in your energy and inspiration pot at the end of the day/month/year. Prioritising yourself is a good thing. Valuing yourself is a good thing. Recognising your unique needs is a great thing. Does your future scare you? Register today for your FREE Tickets to a life-changing #career education event! This is a FREE world-class three-day #innovation and #career #education event for 100’s of students, teachers, parents and global and local industry leaders who will immerse in conversation, collaboration, knowledge sharing, 21st Century employability and skill building, problem solving in #DesignThinking Industry Challenge teams, #STEM EXPO activations and amazing interactive forums, keynotes and Q&As with entrepreneurs, global business leaders and #STEM Experts so students can start planning and building their future careers (and post-school study pathways) NOW! An interactive careers and future of work event for the next generation. CLICK HERE TO BOOK YOUR FREE TICKETS TODAY! The phenomenal Marsha Uppill 🙌🏽 of @cityofgreatergeelong and #Arranyinha will take the stage at the upcoming World of Work STEM EXPO at the Geelong Football Club on Saturday May 11, 2019. Proud Adnyamathanha Woman, Marsha Uppill has over 25 years experience in working across all tiers of Government in areas that focus on Aboriginal affairs, social inclusion, workforce planning and reform, and strategic and systems cultural change. Most recently, Marsha has worked in the areas of the Prevention of Violence against Women and Children and is currently developing the Gender Equity Framework for the @cityofgreatergeelong. Marsha is a mother, wife, sister, daughter and aunty. Arranyinha is her traditional birth name, it means first born woman of her mother in Adnyamathanha language. Her mother was a survivor of the Stolen Generations with documented evidence of the horrific treatment at the hands of systems, authorities and people, and Marsha has made a commitment to educate by sharing the reality in order to impact sustainable generational change. A natural-born story teller, Marsha has spoken at many forums and conferences on the topics of family violence, stolen generations, Aboriginal women, homelessness and workforce planning and development. Public speaking is a way that Marsha is able to connect, engage and bring others on a journey of understanding Aboriginal people for the history that inspires them to want to be and shape the change in this generation. A First Nations Woman determined to shake the planet and make this life matter in all aspects, in all areas and in all systems, through education, inspiration and empowerment, we are honoured to have Marcia as part of the Geelong Youth Innovation Summit 2019. FOR FULL PROGRAM + FREE TICKET REGISTRATION CLICK HERE. Learn about life inside a Scale Up with Launch Vic! Did you know Victoria is home to 100’s of rapidly-growing scaleup 🦄 businesses, bursting at the seams with innovation💡, acceleration 🏃🏿‍♀️and progress 🔛? But it takes a certain type of person to work for a scaleup. And Victoria’s scaleup community is currently on the hunt for individuals that can bring that magic to the table. Have you got what it takes? Scaleups are home to individuals who favour progress. Innovators who play on the sharp edge of initiative. People with the commitment to making a positive impact. If that sounds like the kind of future you would like to be part of in the new world of work, jump on @launchvic to explore what life and work is like inside a scaleup, and take the steps now to build skills, research new job sectors and scale up opportunities and pathways for your potential future career. Why Artificial Intelligence and Machine Learning should matter to girls. Susie is the dynamo marketing and community manager at Silverpond whose mission is to grow the artificial intelligence community and industry in Melbourne. As the Founder of a #VirtualReality #startup, and armed with a Master of #Entrepreneurship from the University of Melbourne, Susie will take the stage at the Geelong Youth Innovation Summit on Saturday May 11 to unpack artificial intelligence, #machinelearning, #datascience, why #diversity in #techmatters and how EVERYONE can participate in #STEM careers - even if you can’t write a line of code.🙋🏽‍♀️💡🚀🌏✔️ . Register for your FREE tickets to the Geelong Youth Innovation Summit today and join 100’s of teenagers, students and parents from the City of Greater Geelong alongside some of Australia's most remarkable business leaders, startup founders and #STEM champions. See here for program and event details. Want to be an entrepreneur and run your own business? Kickstart your startup and entrepreneurship skills on Sunday May 12, 2019 at Runway HQ in Geelong with girledworld and Upstart and learn what it takes to build a business! Students, parents and industry all welcome. 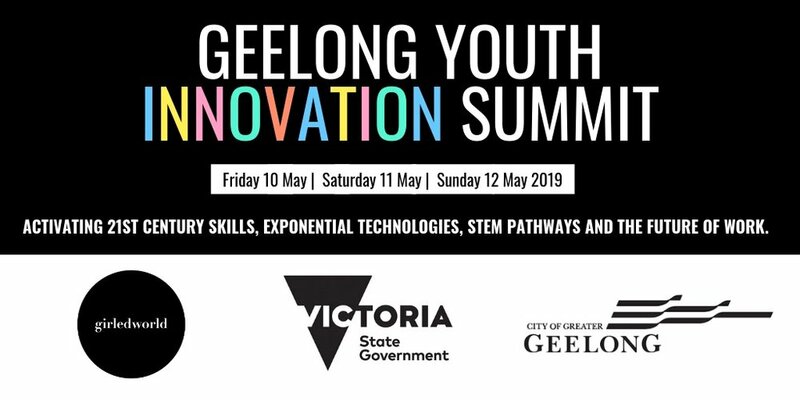 This event is part of the Geelong Youth Innovation Summit brought to you by the Victorian State Government, City of Greater Geelong and girledworld, activating across 3 big days of real-world learning, startup, STEM and future career building May 10-12, 2019. For all event information click here. Sarah Moran is a total geek. Hear why at the Geelong WOW STEM EXPO on May 11, 2019. Sarah Moran is a total geek. Now Co-Founder and CEO of @girlgeekacademyand a regular media commentator and thought leader on the tech sector, Moran heads up a global movement encouraging women and girls to learn about technology 🙋🏽‍♀️, upskill in tech and coding 🤖and build more of the internet 👩🏻‍💻👩🏽‍💻👩🏿‍💻. 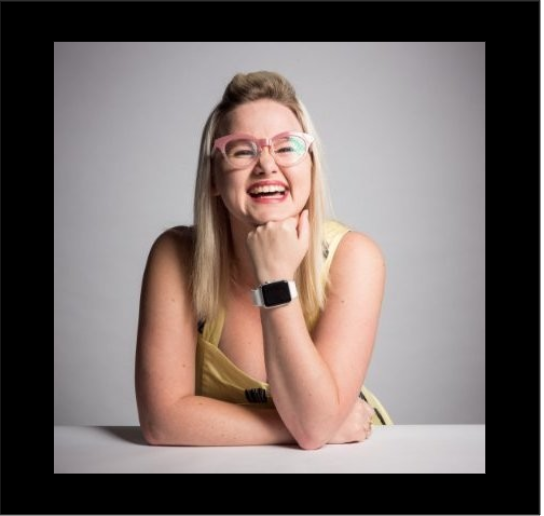 We’re pumped to have Sarah Moran as a tech role model and keynote speaker at the #Geelong Youth Innovation Summit 2019 at the WOW STEM EXPO on Saturday May 11, 2019. Register for your FREE tickets today and join us alongside some of Australia's most remarkable business leaders, startup founders and STEM champions. Click link in BIO to read more! What does the Geelong smart city of the future look like? 1. How do we equip the next Gen with the 21st Century enterprise and entrepreneurship skills they'll need to drive regional innovation, new industries and a thriving city? 2. How will we support the growth, culture, connection and healthy communities of our regions for the future prosperity of Australia? 3. And how can we step aside and allow Greater Geelong's young people to explore, engage with and design solutions to the most important issues facing their region, and the world? We're excited to announce the Geelong Youth Innovation Summit - a FREE education event for students (all genders), teachers, parents and global and local industry leaders proudly designed and presented by girledworld in partnership with the Victorian State Government and City of Greater Geelong in collaboration with Runway HQ activating Geelong across Saturday May 11 and Sunday May 12, 2019. Please join the Greater Geelong community to imagine the UNESCO City of Design future city and bring the City of Greater Geelong Clever & Creative future vision to life over three exciting days of immersive STEM and startup learning across innovation, entrepreneurship, DesignThinking, problem-solving, Future of Work career education, 21st Century skills and industry presentations. For further information, program details and to register for this FREE community event please click here. An article released today reveals Venture capitalists invested $US1 billion in Australian and NewZealand startups in 2018, but all-female teams received just $US30.15 million of the total (across five deals) according to data from M&A, private equity and PitchBook Data. In percentage terms that means all-female teams received just 2.9 per cent of 2018’s total venture spend, while all-male teams received about $US624.28 million — roughly 62 per cent. The figures illustrate that systemic and structural barriers and biases - historical, social, economic, political - remain entrenched, and that we've still got a long way to go in this country to level the playing field for female founders, and the venture funding ecosystem. Thanks to Which-50 Media Which-50.com Tess Bennett and Andrew Birmingham for the chat, and to fellow contributors Sandy Plunkett and Amanda Price for their views and expertise. As a SheEO™ Activator, Cofounder + CEO of the all-female edtech startup team at girledworld, and recent recipient of a scholarship to the University of Melbourne Wade Institute of Entrepreneurship VCCatalyst Executive Education program, I look forward to sharing my research on this topic later this year. FOR MORE ON WADE INSTITUTE VC CATALYST CLICK HERE. What you say to yourself says a lot about your self esteem. When you next look in the mirror try and say something nice to yourself. .
➡️ Pay yourself a compliment. .
➡️ Recognise negative self talk. ➡️ Come up with a positive affirmation that is easy to recall. ➡️ Focus on the present moment. ➡️ Try and talk to yourself as you would to a friend. Yesterday was worldwide #internationaldayofwomenandgirlsinscience (February 11) - a day we celebrated female role models in STEM across the world. The @sydneymorningherald named Ally one of Australia’s nine most influential female entrepreneurs of 2017, and for good reason. After spending seven years working as a .NET developer across the UK and Australia, Ally’s unique and refreshing insights into the life of a woman in a male-dominated industry led her to co-found the highly acclaimed @codelikeagirlau in 2015. @codelikeagirlau is a #socialenterpriseproviding girls and women from any background with the confidence, tools, learning pathways, #knowledge and support to start careers - and flourish - in the world of #coding. #CodeLikeAGirl’s efforts in addressing the #gendergap in tech have been commended numerously; receiving a Gold Disruptor award at 2016’s Australian Computer Society Awards, 2016’s B&T Women in Media Award for Technology and the company taking home an Education merit award at the @cityofmelbourneMelbourne's 2017 & 2016 #TechDiversityAwards. We can’t wait to beam Ally’s powerful technology career story onto the big screen as a VIRTUAL SPEAKER at the #girledworldsummit @sydney_uni this Saturday February 16 alongside trailblazing founders, STEM entrepreneurs and world shapers to show teenage girls what they could be. Meet #STEM superstar and all-round girl-power inspiration Jessica Vovers - a @unimelb PhD candidate in Chemical & Biomolecular Engineering, Master of Biochemical Engineering and passionate advocate for diversity and advancement in STEM. But it's award-winning STEM waypavers like Jess who are pioneering work in this field, spearheading female STEM groups like @wiseunimelb, mentoring young girls in STEM pathways, and in her spare time founding orgs like @hollaback_melbourne - a global movement to end street harassment. Through all of these roles and her work, Jess hopes to help break down barriers for the next generation of women in STEM. FINAL TICKETS ON SALE NOW! (Please note we are near SELL OUT for this event. Book now to avoid missing out). PAY IT FORWARD ON INTERNATIONAL DAY OF WOMEN + GIRLS IN SCIENCE! Did you know today is #internationaldayofwomenandgirlsinscience day? It’s a day we recognise the critical role women like #MarieCurie have played in the history of #STEM across the planet. And we keep hearing about STEM, don’t we? How it will define the new economy, how we need to upskill in it, and how women and girls remain grossly underrepresented in #STEM fields. Well did you know that currently women represent just one quarter of the STEM workforce overall. Because STEM matters. It matters because to secure Australia’s future economy, we need more STEM talent cultivated here to drive innovation, create the businesses and jobs of the future and we need girls and women to be part of the pipeline. This will take a concerted, national effort as there are currently multiple cultural, educational, institutional and organisational barriers that discourage girls and women from studying STEM, and that limit their opportunities to pursue careers in this space. Join us for a life-changing two days of learning for girls/Mums/Dads/Teachers/Mentors ✖️✖️ TICKETS AVAILABLE HERE. Liz is responsible for @twitter San Francisco’s Brand Strategy team that develops marketing and creative sales solutions for top advertisers. Liz also co-founded and leads the @Twitter Parents employee resource group, and prior to joining @twitter Liz was Sr. Director at @nickelodeonwhere she helped create, launch and lead integrated marketing for the Nickelodeon Games Group. Her early career was spent in media at Universal McCann Los Angeles, helping build the @sonypictures digital business. Liz holds a B.A. in Honors Communication and Economics from the University of California, San Diego. She is @LizzDev on @Twitter. GIRLEDWORLD WOW SUMMIT NSW. FULL PROGRAM AVAILABLE HERE.